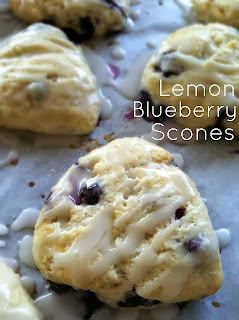 from pin to project: lemon blueberry scones. Alterations: I formed the dough into a flattened circle, approximately eight inches wide and two inches thick, and cut it like a pizza (since I didn’t have a good cutout to use). Thoughts: These scones, thought up by the super-inspiring Jacqui at Baby Boy Bakery and featured on one of my favorite blogs- Little Miss Momma, were super light, flavorful and fabulous (an awesome surprise, considering the last time I ate a scone it was a dense, dry but tasty brick from Starbucks). I served them to my in-laws over Memorial Day Weekend brunch. 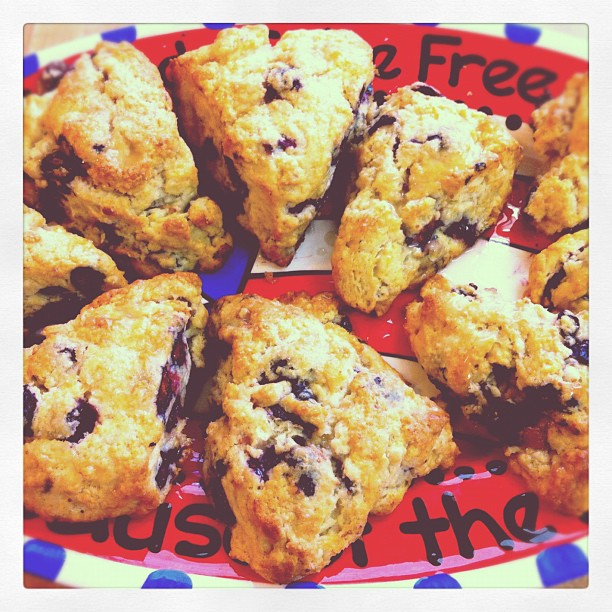 They were a huge hit; I’m pretty sure my father-in-law ate a minimum of six scones himself, before the weekend was out. Very impressive! I preferred my scones baked to a very golden brown on top, because the dough was so thick I worried about it being baked all the way through. Next time I will glaze only as we eat them, because in the meantime I felt like the leftovers got a tiny bit soggy. Although it was my first and only time ever making scones, this is my go-to scone recipe. Can’t wait to try some ingredient alterations!